Since their introduction, asphalt roofs have been the most commonly used system for residential and commercial properties alike. Asphalt shingles are considered the direct upgrade from wood and they boast excellent durability and weather resistance at an affordable price. They also offer versatile aesthetics and easily match other home components, such as vinyl windows and brick foundations. The popularity of asphalt comes at a price, though; this roofing material makes up the majority of roofing waste in the country, with over 11 million tons of asphalt shingle waste generated each year. 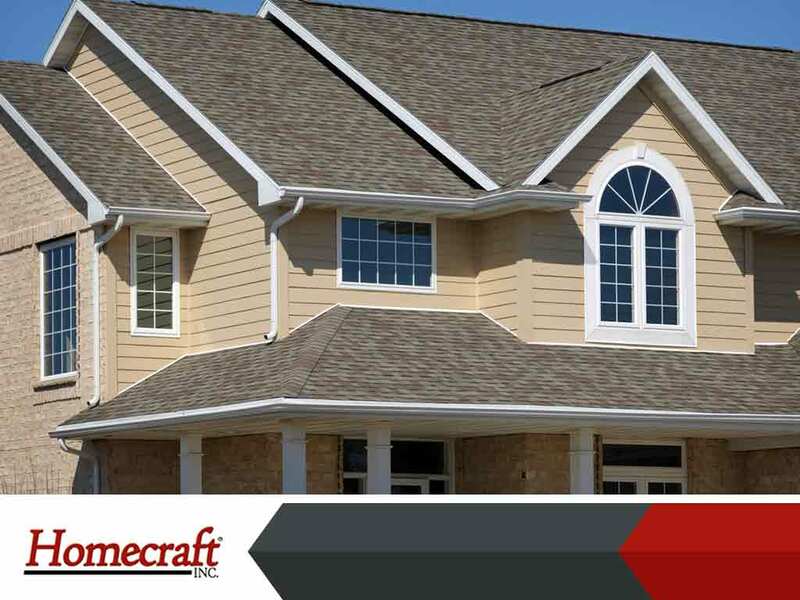 At Homecraft®, Inc., we do more than just wood window installation. As a GAF Master Elite® roofing contractor, we offer asphalt shingle recycling. In this post, you’ll learn how recycling works and how you can benefit from it. Recycling asphalt roofs is actually a straightforward process and only requires small changes to the usual tear-off procedure during roof replacement. Instead of quickly tearing off the roof for disposal, we remove the roof with care and try to preserve it as much as possible so the shingles can be recycled. Recycling an asphalt roof after roof replacement from professionals like Homecraft, Inc., is actually more affordable than the usual tear-off and disposal, as recycling fees are lower than disposals. The savings may seem small, but they do have a big impact on how most roofing projects are costly. The asphalt recycled from your roof will be used in building and fixing roads throughout your community and across the country. This offsets the cost of creating new asphalt and aggregate, helping reduce the country’s roof-related waste. This recycled asphalt can also be used for other roofing products, such as asphalt-based membrane roofs. Homecraft, Inc. will help you take that first step to a more environmentally responsible living through asphalt shingle recycling. We also install high-quality replacement windows. Call us today at (877) 494-0377 to learn more about our services. We offer roof and wood window installation in Wilmington and Bear, DE.